The Virginia Beach Subdivision of Alanton is located in the Great Neck Corridor of Virginia Beach. Alanton is bounded on two sides by Linkhorn Bay and Broad Bay. Entry into Alanton from Mill Dam Road is via a landscaped entryway on Woodhouse Road. Woodhouse Road was named after Mr. Henry Woodhouse who was granted the land in 1637 by the King of England. The land had several owners and was used primarily for farming until the McCullough family bought a piece of the Woodhouse tract in the early 1920's. Mr. McCullough moved his family into one of the three buildings on the property, a house built in the 1830's. This house, "Old Comfort", is being used as a residence today. The name "Alanton" was in honor of Mr. McCullough's son, Alan. 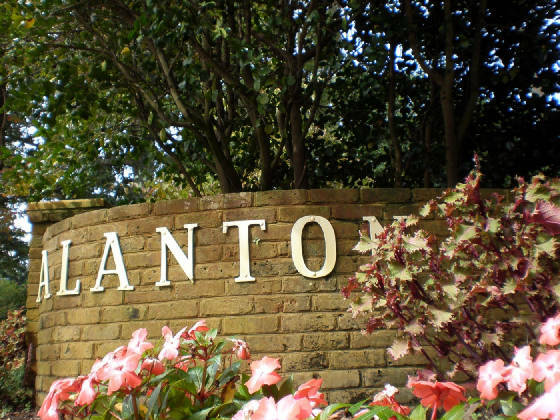 The development of Alanton took place over a number of decades with many homes on lots of one acre or more. Several streets are lined with mature trees and present an inviting rustic appeal. Much of the waterfront properties face First Landing State Park and provide undisturbed scenic views. The area is considered very desirable for raising a family with excellent schools within walking distance.